April 6, 2019, SAINT PAUL, MN – The Friends of the Saint Paul Public Library has announced the winners of the 2019 Minnesota Book Awards, sponsored by Education Minnesota. In addition to winners in nine categories, The Friends presented the Book Artist Award and Kay Sexton Award to previously announced honorees. When something terrible happens, Taylor doesn’t know where to turn. All the animals are sure they have the answer. One by one, the animals try to tell Taylor how to process this loss, and one by one they fail. Then the rabbit arrives. All the rabbit does is listen, which is just what Taylor needs. Doerrfeld is the creator of many books for children, including Little Bunny Foo Foo: The Real Story and The True Adventures of Esther the Wonder Pig. She lives in Minneapolis. In Doing Harm, Dusenbery provides a comprehensive, accessible look at how sexism in medicine harms women today, bringing together scientific and sociological research, interviews with doctors and researchers, and personal stories from women across the country. Dusenbery is the editor of the award-winning site feministing.com. Before becoming a journalist, she worked at the National Institute for Reproductive Health. She lives in Saint Paul. Is Chinese identity personal, national, cultural, political? Does it migrate, become malleable or transmuted? Using documentary and conceptual photographic strategies, Huie explores the meaning of Chinese-ness in his home state of Minnesota, throughout the United States, and in China. Part meta-memoir and part actual memoir, Chinese-ness reframes today’s conversations about race and identity. A celebrated photographer, Huie’s work has captured the complex cultural realities of American society for over 30 years and has been shown around the world. He lives in Minneapolis. When Tash returns home from camp, one of the only people she has ever counted on, Cap’n Jackie, is gone. Tash needs her – and the key that Cap’n Jackie insists has magic in it. The Captain has always said that all Tash has to do is hold it tight and the magic will come. Is it true? And can Tash use it to get her back? Schmatz is also the author of Lizard Radio and Bluefish and lives in Minneapolis. The Crusade for Forgotten Souls recounts Minnesota’s reform movement that broke the stigma surrounding mental illness, publicized the painful truth about the state’s asylums, and resulted in the first legislative steps toward a modern mental health system. Foote tells the story of the early advocates for compassionate care of the mentally ill who made the crusade a success. Foote is a writer, historian, lawyer, and professor emerita in the Division of Health Policy and Management at the University of Minnesota. She is the author of Managing the Medical Arms Race: Innovation and Public Policy in the Medical Device Industry. She lives in Saint Paul. Returning to the northern Minnesota town of Hatchet Inlet, Laurentian Divide picks up the story where Stonich’s novel, Vacationland, left off, providing a poignant portrayal of life on the edge in border country. Bitter winters are nothing new in Hatchet Inlet, but the advent of spring can’t thaw the community’s collective grief, lingering since a senseless tragedy the previous fall. Stonich is also the author of the critically acclaimed novels The Ice Chorus and These Granite Islands, and a memoir, Shelter. She lives in Minneapolis. Webster investigates race in his debut collection, drawing inspiration from sign in graffiti, layering of collage, and the visual experience of text. He engages the question of absence, how to archive what is missing from the landscape, particularly as a number of communities watch in real time as neighborhoods once populated with familiar presences dissolve in the vernacular of redevelopment and its linked colonial logic. Webster is a poet and graphic designer. He lives in Minneapolis. In 1926, Togar flees deep into the Liberian bush, desperate to escape a militia. In 1980, Ujay and Evelyn dare to believe their love can survive Liberia’s fast-approaching revolution. In 2008, Kollie cracks under the strain of life as a teenage Liberian refugee in Minneapolis. Dream Country is the story of five generations of young people from one African American family chasing an elusive dream across centuries and continents. Gibney is an author and college professor. Her novel, See No Color, drawn from her life as a transracial adoptee, won a Minnesota Book Award. She lives in Minneapolis. The Book Artist Award was presented to Jody Williams, for her new book For Now. At once a book, a box, and a puzzle, For Now was born from a desire to create a book about dust and evolved into a meticulously designed exploration of the number four and its many associations. The award, sponsored by Lerner Publishing Group and presented with the Minnesota Center for Book Arts (MCBA), recognizes book artists for excellence of a new artistic work and demonstrated proficiency and quality in the book arts, as well as an ongoing commitment and significant contributions to Minnesota’s book arts community. Williams is a book artist, printmaker, teacher, and writer based in Minneapolis. David Mura received the previously announced Kay Sexton Award. David Mura is an author, critic, teacher, and performance artist who has increased literary accessibility and audiences, and fostered writers of color through his workshops, mentoring, and tireless advocacy, both here in Minnesota and around the country. He co-founded the Asian American Renaissance, an Asian American arts organization and served as its artistic director. The Award is sponsored by St. Catherine University. Books written by a Minnesotan and first published in 2018 were eligible for the 31st annual Minnesota Book Awards. A total of 228 books were submitted for awards this year, and 36 books were selected as finalists. The winners were chosen by panels of judges from around the state. Submissions for next year’s awards will open in August, 2019. For more information on the Book Awards process, and a list of finalists and winners since 1988, visit www.thefriends.org/mnba. The Book Awards ceremony will be broadcast in the weeks to come on Saint Paul Neighborhood Network and TPT-MN Channel. Watch the website for updates on air dates. The 31st annual Minnesota Book Awards is a year-long program of The Friends of the Saint Paul Public Library that fosters our statewide literary arts community. Major funding for the Book Awards was provided by Education Minnesota. The media sponsor is the Star Tribune. The Friends of the Saint Paul Public Library acts as a catalyst for libraries to strengthen and inspire their communities. 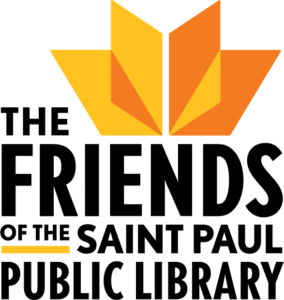 An independent, nonprofit organization established in 1945, The Friends invests in the Saint Paul Public Library through fundraising, advocacy, and programming; as a result, our Library is a nationally-recognized leader in serving its community. The Friends also serves libraries across the country and internationally through its consulting services, Library Strategies, and promotes literacy, reading, and libraries statewide as the Library of Congress’s designated Minnesota Center for the Book. For more information, contact The Friends at 651-222-3242 or visit thefriends.org.